ROCKY HILL, Feb. 12, 2019 -- Titan Energy New England Inc., a leading brokerage company servicing commercial, industrial, non-profit and municipal markets, today announced that it has won a multi-year energy procurement services contract with the Connecticut Conference of Municipalities (CCM). This contract was competitively sourced, and Titan was selected based on its experience, expertise and its strong reputation. After issuing an RFP for a new energy consultant, CCM’s selection committee, consisting of municipal staff from among its membership, unanimously chose Titan Energy as its new CCM Energy Purchasing Program energy procurement consultant. Titan Energy New England is a supplier-neutral broker and energy consulting group dedicated to bringing exceptional value to industrial, commercial, nonprofit and municipal customers. Titan Energy's specialized consultants work with clients to identify the energy provider that best meets their specific needs, and offer data-driven procurement and consulting solutions in deregulated markets throughout the U.S.
Connecticut Conference of Municipalities (CCM) is Connecticut’s largest, nonpartisan organization of municipal leaders, representing towns and cities of all sizes from all corners of the state. 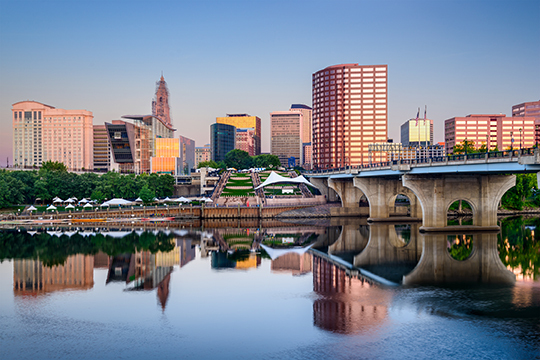 Its mission is to improve everyday life for every resident of Connecticut through education, advocacy and strategic partnerships.